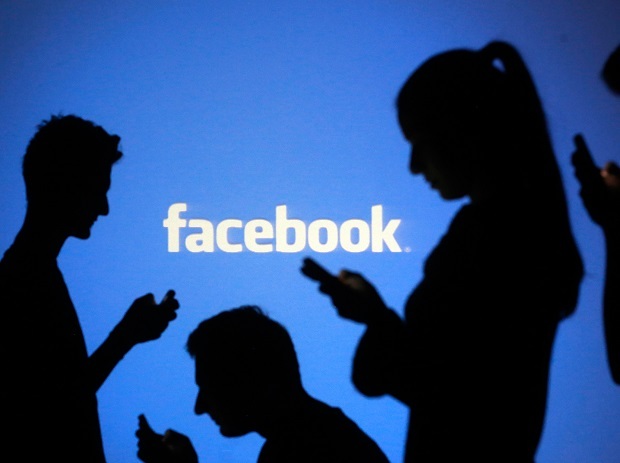 Facebook is considered as the most popular social media site in the whole world. It has billions of active users, most of whome are active for long periods of time on a daily basis. Not to mention this awesome app is absolutely free for everyone. Unfortunately, the official Facebook app on our android phones uses a lot of data. Not to mention, it hogs a lot of your main memory storage, often times leading to a slow or lagging phone. Other people also complain that using the app drains their battery faster than most apps. If you’re one of those people complaining, well, we’ve got good news for you! We’ve gathered the top 5 replacements you can use to access your Facebook faster and with less hassle to your phone! Facebook lite is an official Facebook app that can replace the regular Facebook app. It is a stand-alone app that uses less data and works on 2G networks or when you don’t have a stable internet connection. It’s the best version of Facebook you’ll find so far. You can see your friends’ posts and upload photos quickly. You can still message and have group conversations, get notifications and share updates with multimedia attached with this app. Most of all, this app is compatible with most Android phones, even the older ones. One of the oldest Facebook alternatives there is, Tinfoil lives up to its name as being a ‘wrapper for Facebook’s mobile site’. A wrapper is a mobile website inside of an application. This app is superfast and has its own handy navigation drawer and shortcuts. It doesn’t sync in the background which is very battery and system-friendly. This app focuses more on your privacy concerns than most apps. It creates a sandbox for all of Facebook’s cookies which keeps your information from being leaked and tracked across other websites! Tinfoil isn’t as feature-packed as Metal (see below) but it’s even smaller and faster. This app is also completely free with no ads and no in-app purchases. If you’re only using Facebook for its basic features, this app’s for you. Metal for Facebook and Twitter is one of the up-and-coming Facebook apps this year. Because of its dual function as a Facebook and Twitter alternative, this app has a lot of positive press over the last couple of years. Because it is based on Tinfoil, this is a web-wrapper with more features included to improve the experience. It provides a notification shade bar with which you can access your news feed, friend requests, messages and notifications. Selecting any of these options opens a floating window while opening the app directly provides the full-screen experience. Metal also offers one of the broadest set of notification-syncing frequencies you can find on any wrapper app, ranging from every five minutes to once in five days, which allows you to conserve your battery if you aren’t an obsessive user. It also receives more regular updates than Tinfoil and has a much nicer UI Design. If Metal can support two social media sites, Buffer can support five of them: Twitter, Facebook, Pinterest, Google+ and LinkedIn. Like most multiple social media apps, it sometimes has a few issues here and there, but usually, the app functions well. Buffer shares your contents or posts ‘on your schedule’. Your updates can be automatically scheduled and spaced out throughout the day. As you share or post something, you can easily select which of your social media accounts you want to post to. You can even post the same message on all accounts added in the app. This app is almost exclusively for advertising or posting things and does not have a lot of features to interact or connect with other people. Buffer is the only one in our list which is not totally free for use. In its Free Plan, you can add up to four social media accounts and ten schedules posts per profile. There is also the option of either upgrading your app to Awesome Plan or Small Business Plan subscriptions. With Small Business Plan features, you can connect up to 25 social media accounts, five team members and contributions feature, and 2,000 posts per profile. This is the easiest, lightest and FASTEST method. If you use your android web browser (Firefox, Chrome, Opera, etc. ), you can head to Facebook, hit options and select Add to Home screen, giving you a quick and convenient way to check Facebook without all the intensive resource bulk of the official app. Some browsers even let you receive notifications from comment replies or messages as long as you don’t log off from your browser. Which is really handy for those who are saving up their memory and data usage. For some browsers, there are some extra features you can access with a little help, like a notification shade bar. If none of these alternative apps work for you and you just want to limit your data usage, you can switch your Facebook to Free Data mode available via your respective service providers. Just follow Facebook’s tutorial or ask your local service providers on how to do it!